Super Mario Odyssey has been announced for the new Nintendo Switch. This is the first time since Super Mario Sunshine that Mario is being thrown into an open world Sandbox environment. The game is attempting to emphasize exploring new foreign countries. Some of the environments are meant to be parallels to real world locales. One of the new abilities involves Mario throwing his hat and the ability to ride animals in certain levels. 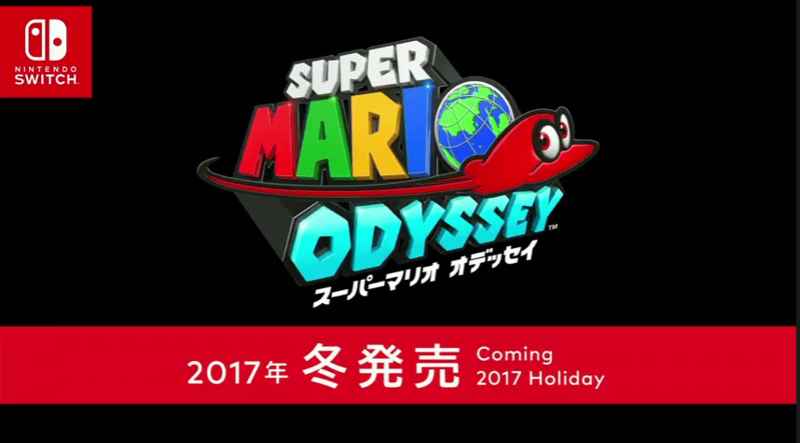 Super Mario Odyssey will release this holiday season.